New! 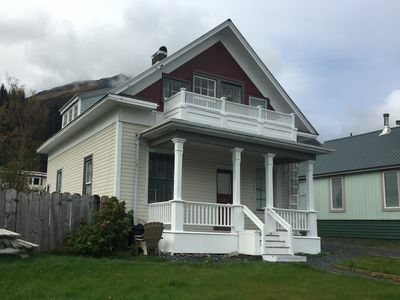 1BR+Loft Seward Apartment w/ Views! 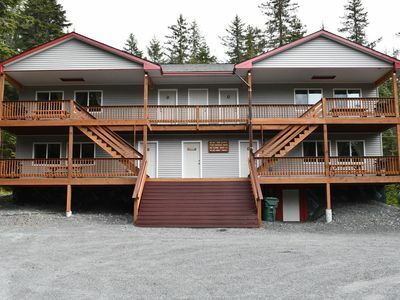 At the head of Resurrection Bay on the Kenai Peninsula, Seward is one of Alaska’s most scenic communities and home to this beautiful 1-bedroom + loft apartment with room for 4. 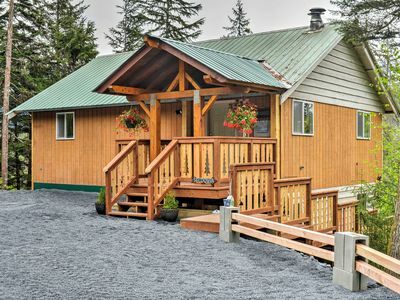 With updated features, stylish decor and breaktaking views from a set of covered decks, this property will provide you with the Alaskan experience of your dreams! 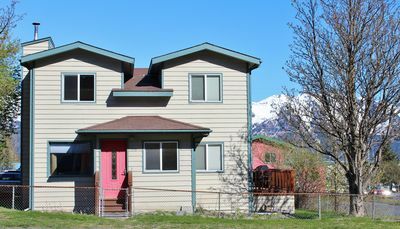 You will be within walking distance of some of the country’s most untouched and picturesque terrain, right at the opening of the Chugach National Forest. 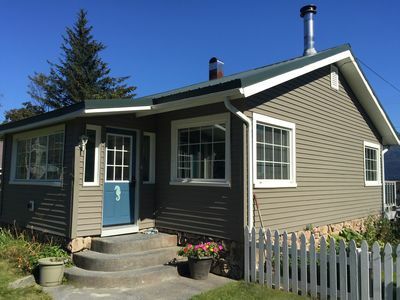 Right through the front doors of this property, you will be greeted by beautiful vaulted wooden ceilings, framing a bright and updated open-concept living space that includes a living area, dining area and kitchen. Be sure to check out the local photography hanging throughout the home! The comfortable living space features couches, one of which folds out into a sleeper sofa, where you will love spending some down time in front of the flat-screen Roku-equipped TV. The fully-equipped, remodeled kitchen features an attractive backsplash and countertop, where you will love to prepare home-cooked meals using local produce! With everything from a stove, microwave and oven to a Keurig coffee maker, you will find every tool and appliance that you need to cook up some tasty treats. Enjoy your meals at the home’s dining table, where you can take in plentiful views along with your delicious food. When you’re finished eating, head out to the covered deck to enjoy the view of towering mountain peaks and impressive glaciers while you breathe in the crisp mountain air. Up the sturdy wooden ladder with an oar as a handrail, the spacious loft is home to a full-sized bed and a small vanity, a space that kids and adults alike will love! 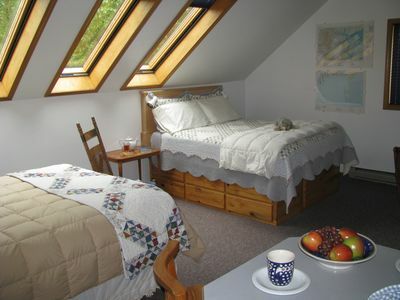 Back on the main floor, the master bedroom houses a cozy queen-sized bed. 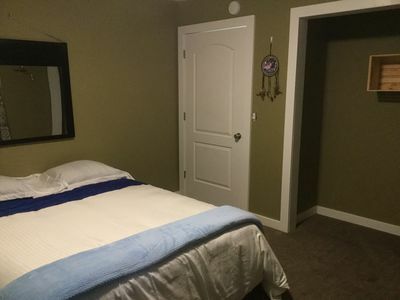 The unit’s bathroom features plush towels, complimentary toiletries, and a shower/bath combo. 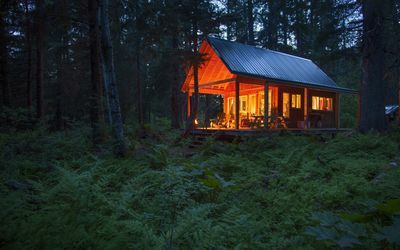 There is no doubt that the main highlight of this home is its top-notch location, nestled in lush Alaskan woods at the mouth of the Chugach National Forest. The world renowned Lost Lake trail is within walking distance of the property, where visitors from all over the world come to run for an annual fundraiser race that benefits Cystic Fibrosis. Travelers can also take part in the Breath of Life run, which takes place every August. 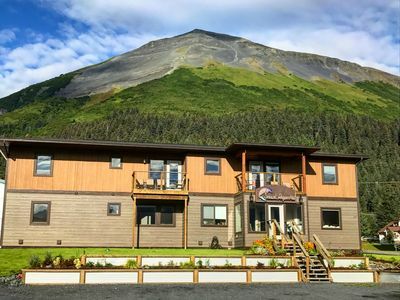 Seward is the outdoorsman’s paradise, with the absolute best in trophy sport fishing, glacier and wildlife cruises, sailing, hiking, kayaking, sight-seeing, summer dog sled rides, and more! 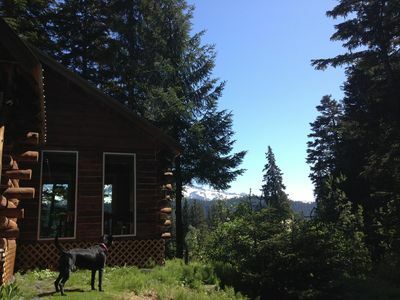 The winter months on the mountain are unbeatable for hiking, snowshoeing, sledding and snowmobilers. 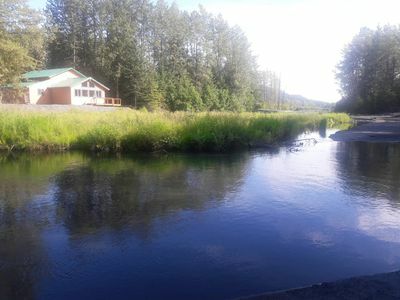 If you want play on the water, opt for a kayak tour, a sailing adventure, or some world-class fishing for halibut, salmon, or other local species. For sight-seers, Seward’s spectacular scenery is unmatched. Glacial lakes, the Harding Icefield, and other treasures will give you an appreciation for Alaska like no other! 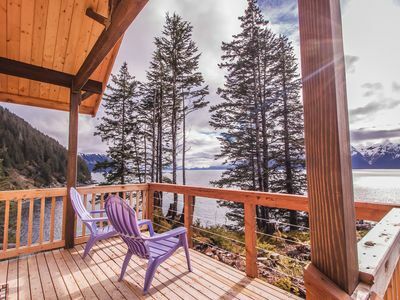 - Amenities include a fully-equipped kitchen with a Keurig coffee machine, a covered deck with stunning views of mountains and glaciers in the distance, a unique loft, comfortable seating, views from every window, a Roku-equipped flat-screen TV and more! 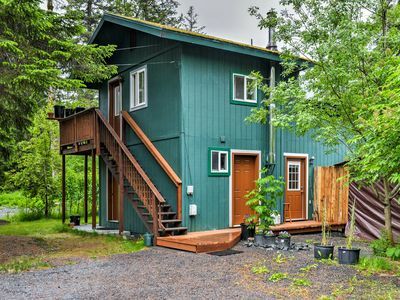 Seward Studio w/Deck, Outdoor Dining, & Mtn Views! 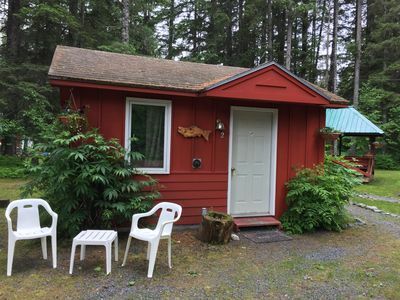 Quiet Setting, Detached From Primary Residence, Apartment For Nightly Lodging. The Fox Den! 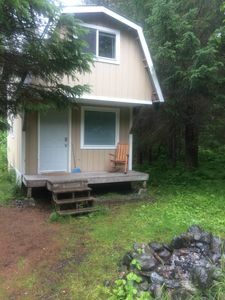 Beautiful Remote Ocean Front Cabin On Resurrection Bay! 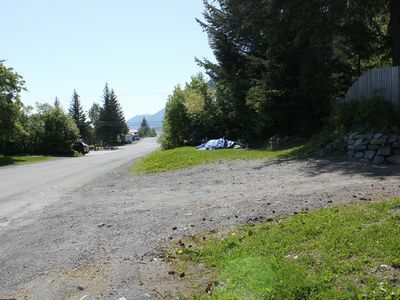 Beautiful, Spacious Home in Downtown Seward! 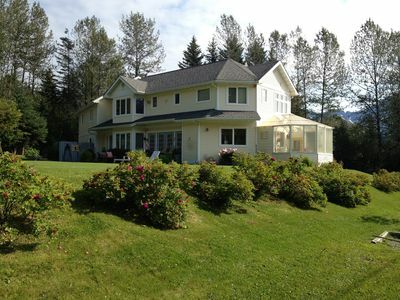 2 Blocks from the Ocean!